Long time no ranting, it seems. 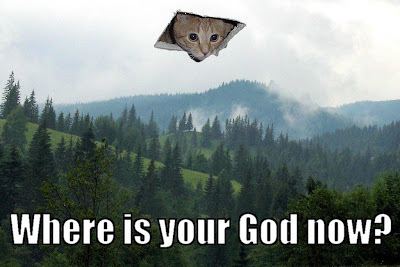 While I gather my wits to prepare the next concerted series of posts, whet your appetites on these morsels, some afters to the considerable meal that was our examination of Longcat. 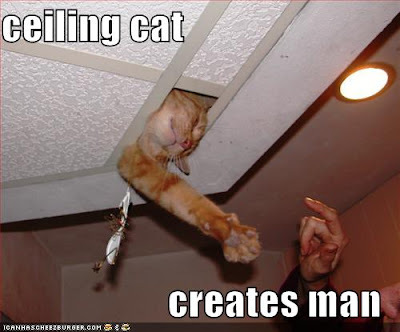 The voyeuristic aspect of the cat watching from above seems to have conduced to a kind of deification. 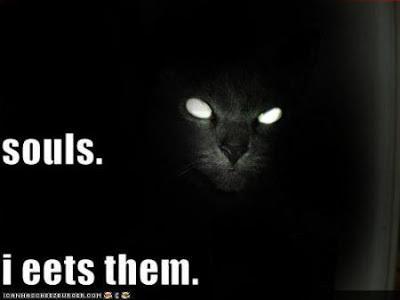 Perhaps the vigilant grimalkin resonated with the idea, expressed by many ancient thinkers, that spirits exist to watch over mankind to discourage evil deeds (or that they were invented to this end). 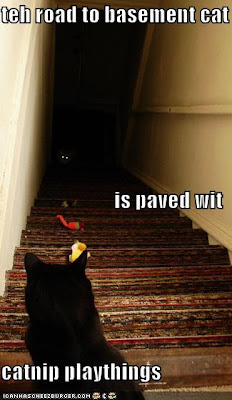 Note how the conflict over "our souls" — which Basement Cat delights in consuming — has been made paramount, even as the image (actually of Longcat and Tacgnol in confrontation) stresses the clash of the two long cats on even ground. 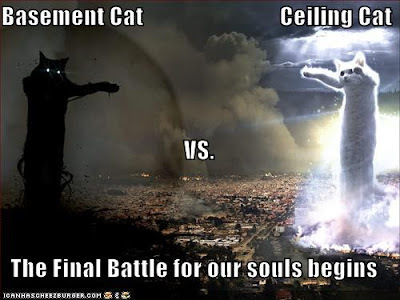 Ceiling Cat and Basement Cat necessarily are portrayed one above the other, though perhaps we can accept the implication that they would meet on a level field for their "Final Battle." 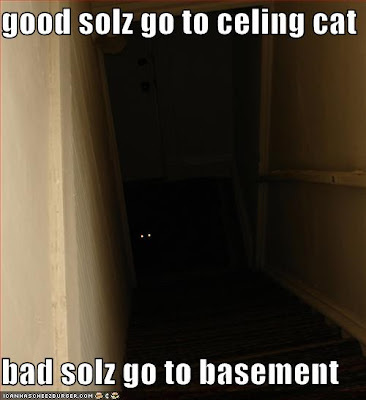 This image appears to advise us to eschew the pleasures of life, lest they lead us into the basement of damnation. All this serves as an outstanding example of how an old religious idea system can clothe itself in new imagery and yet essentially maintain its conceptual structure relatively unchanged. 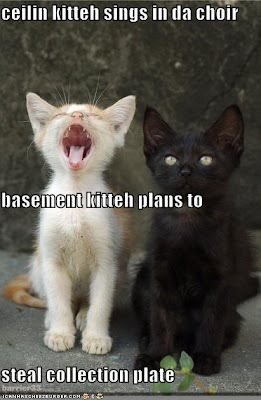 WOOT, WOOT, Lets hear it for Basement cat! This is probably one of the funniest and bold takes on religion Ive read so far.